In previous versions of this newsletter I have talked about the benefits of running. More and more studies are showing the great results exercise can have on people. One of the more remarkable findings that was published recently is that running is better for your eyes as well... !?! Apparently a test has shown a significant difference in eyesight and eyesight deterioriation between runners and non-runners. Further analysis will be done to understand why this is... I am very curious if they can find an answer to that one! As you may know regular running also helps you to improve your immune system. This is especially important now that we have a global outbreak of swine flu. The H1N1 virus is getting more and more people in its' grip and is killing people on a daily basis. Running might just safe your life! When you want to protect yourself and your family you need to be fully informed about swine flu. 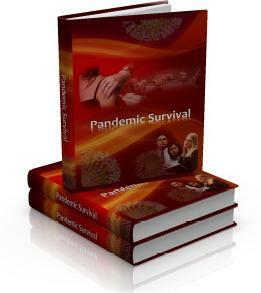 A great way to learn a lot more about swine flu is a guide that has recently been made available. It covers aspects about how the swine flu virus spreads, dietary supplements and natural therapies that are available, how to protect your new-born etcetera. Do it to make sure you are aware of what you can do to protect yourself. And you can now also follow Best Running Tips updates via Twitter. Go to http://www.twitter.com/running_tips and start following me! All the best in these crazy times.